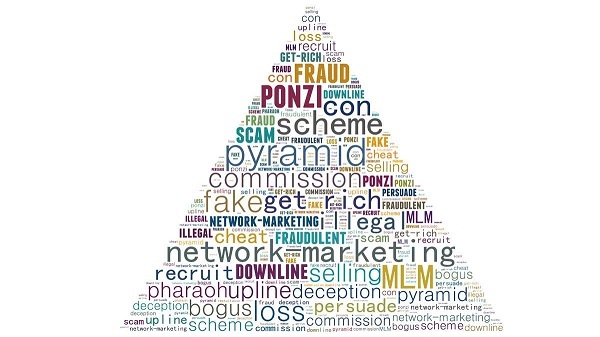 A spokesperson said, “Pyramid schemes can appear to be an attractive business opportunity to involve your network of friends and family, sell products and make a lot of money. These ‘get-rich-quick’ schemes are not only very risky but they are also illegal. “Most originate from overseas, and will supply the product, with marketing support and sometimes training. They will not call themselves a multi-level marketing scheme and some do not actually sell a product or service, they may just offer an investment opportunity. “These schemes will offer a plan that claims that participants will receive commissions by selling their product as well as commissions on the sales of people they recruit. “Typically with pyramid schemes, participants are often asked to make payments. The two payments often are a participation payment to sign up, and a recruitment payment, promised when a member recruits others. “There are two important facts to remember: firstly, the company has no risk as they get paid every time someone joins, no matter where they fall within the scheme. Locals are reminded that under the Consumer Protection Act 1999, Part III section 11b[ix] it is an offence to operate or promote these schemes in Bermuda. Violation of this Act carries a $15,000 fine and/or imprisonment for up to 12 months. Bernews, please list the common schemes that are going around so that people can identify them and educate themselves on any similar schemes. It is amazing what people think is a legit business and how easily some are willing to give up their hard earned money.